Today is the day four of my Christmas card series. Just as yesterday, I created two cards for you as a last minute inspiration. 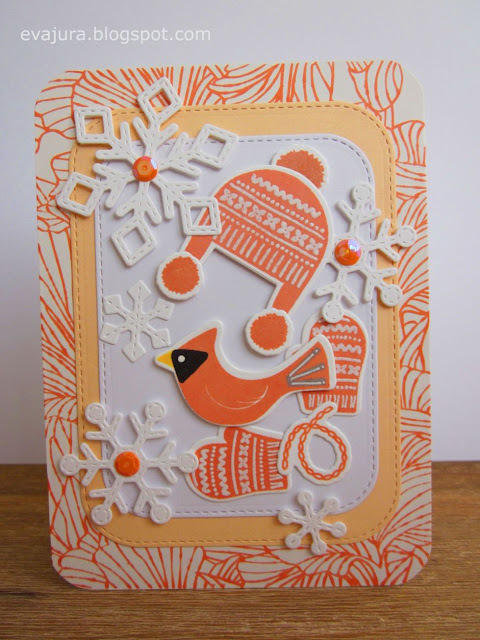 I used again the Winter Warmth stamp set by My Favorite Things. 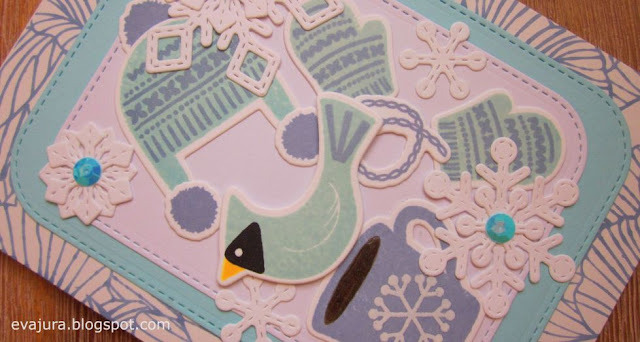 By these two cards I changed the colors I used, and I added the little birdie. I changed also my background. This time, I didn't use the kraft card stock for my card base, but I stamped the pattern using the Etched Flower Background by MFT onto a white card stock. 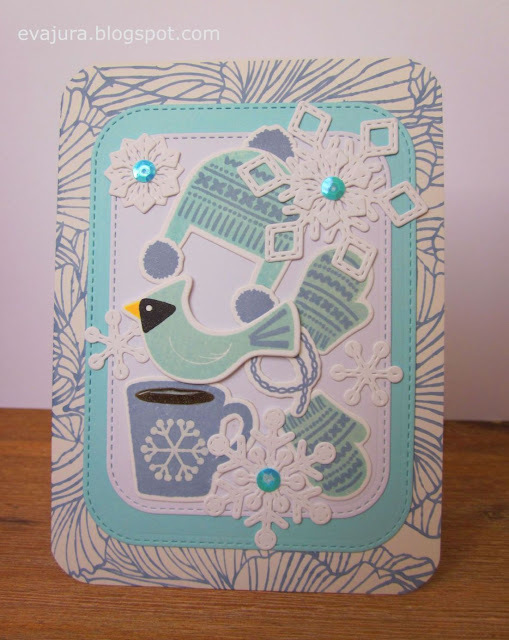 The beautiful Stitched Snowflakes are by Lawn Fawn. I have an advice for you. It is easier to stamp the bird's beak after you cut out the image, if you are using the coordinating dies. I learned this fact at the hard way. 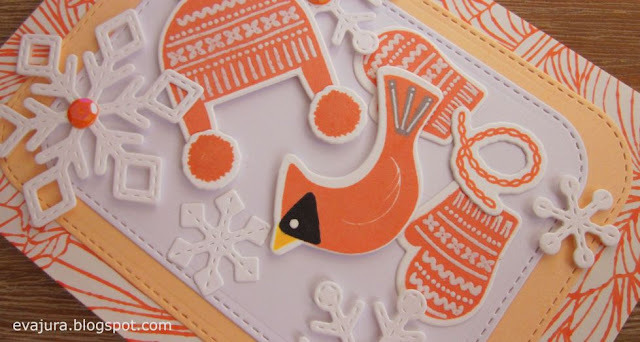 After all of my stamping was done, I wanted to cut out the images and realized that I didn't stamp the beak exactly as I was supposed to do. So, I has to start with the bird from beginning. Thank you for reading my blog and leaving a comment. Which cards do you like more? The ones with the kraft card base that I posted yesterday, or the cards from today's post? You have used all the dies so brilliantly, Eva! 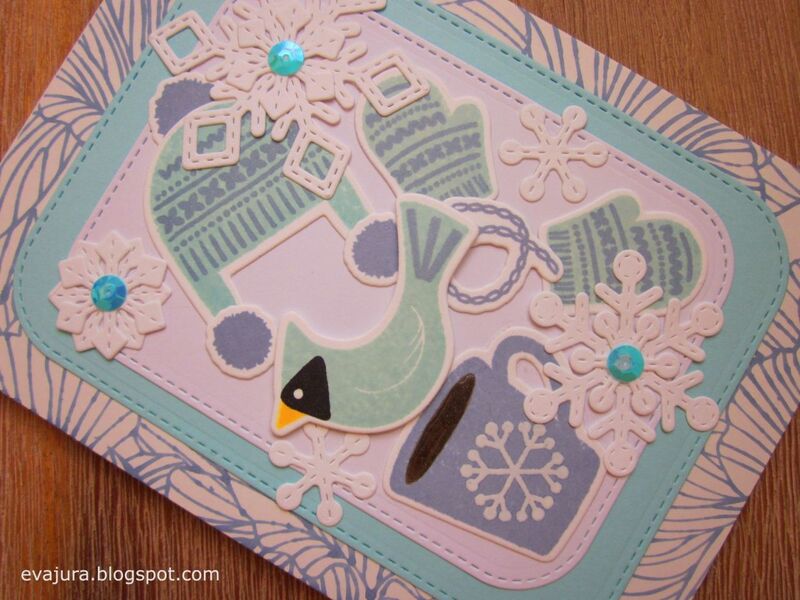 Love the layering and soft colors! 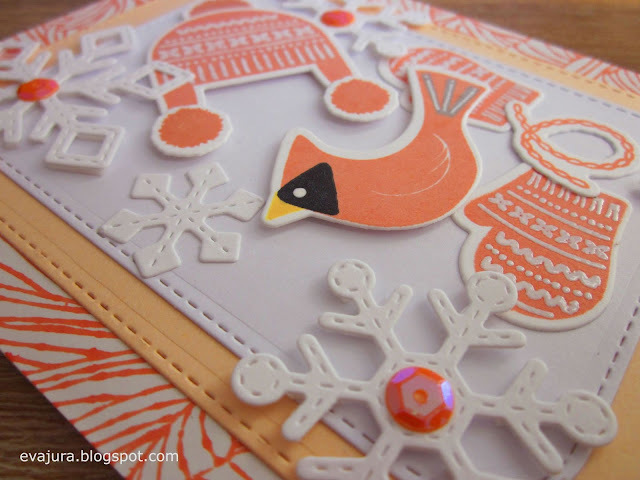 So glad that you join the fun over Simon Says Stamp Wednesday “Die Crazy” Challenge! Beautiful cards! Both colour combos are wonderful. 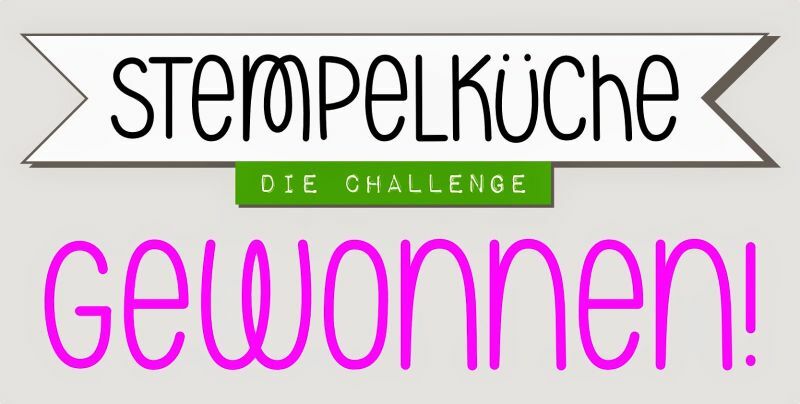 Thank you so much for joining us this week at the Simon Says Stamp Monday Challenge Blog!